Summer is the time for outdoor living, where the backyard becomes our favorite part of the home and we escape to the beach house, cottage and favorite camp sites for the weekend or with the family for a more lengthy summer getaway. 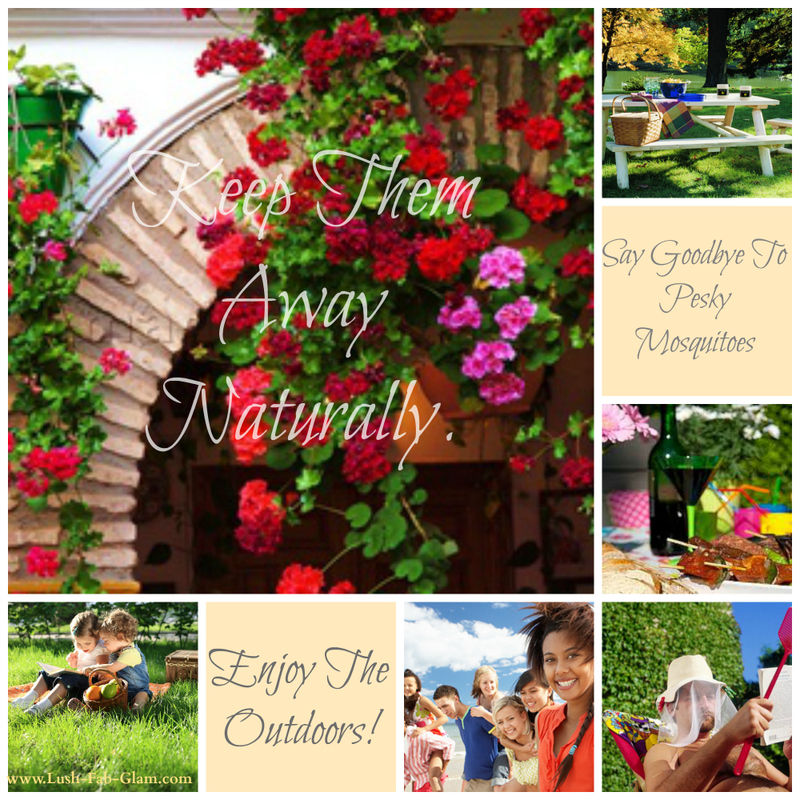 However our fun outdoor activities like lazing by the pool, barbecuing, garden parties and alfresco dinner with guests often get interrupted by those pesky little mosquitoes and bugs who want to be in on the fun too. This summer keep those pesky mosquitoes and bugs away and replace your spray and pesticides, with a cluster of mosquito-repelling potted plants some of which are '10 times more effective than pesticides like DEET. 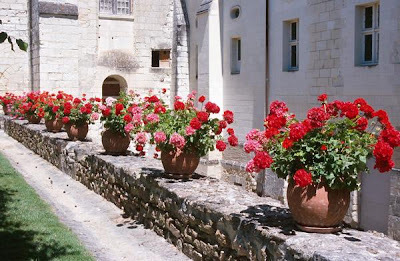 Plus when grouped together near a seating area on your deck or patio, they make a beautiful and lush addition to your outdoor landscape' while also protecting you and your guests from bug bites. 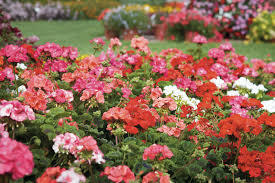 Geraniums are one of our favorite bug repelling plants. 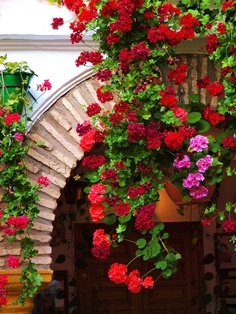 Not only do they do the trick, but they come in beautiful colors and styles that include cascading or full and lush as shown in the photos below. 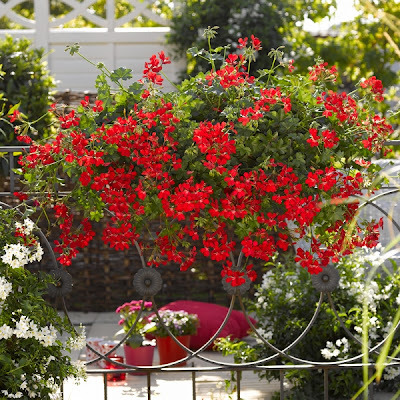 Stack or cluster your geraniums together for maximum effect and have fun creating a beautiful multicolored garden that you can enjoy. 1. 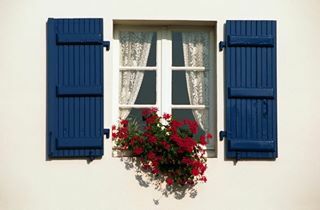 Place them on your window sill so you can enjoy the cool summer and late night breeze without letting the bugs in. 2. 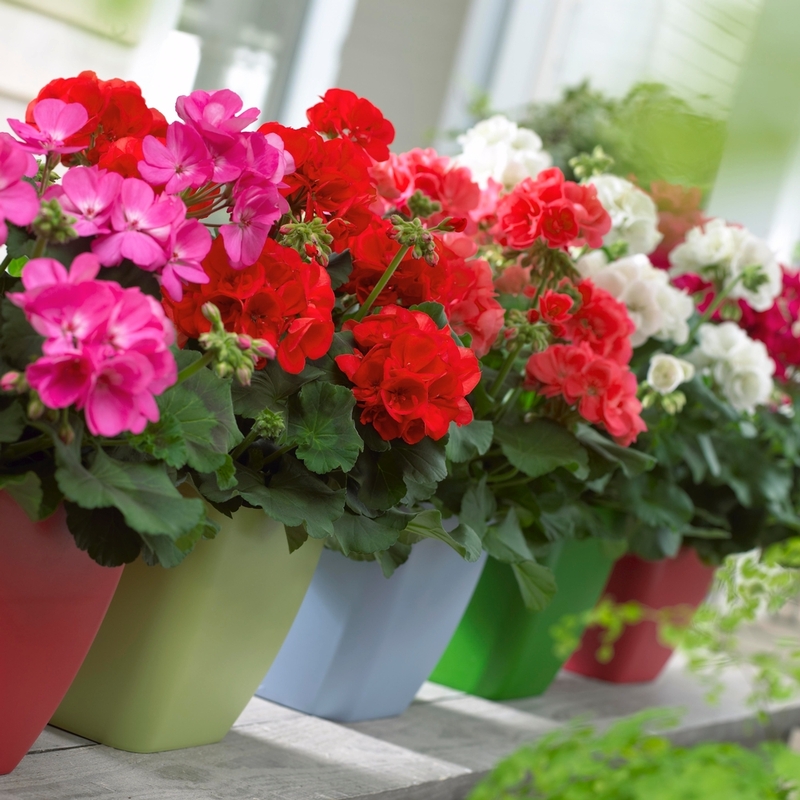 Add some curb appeal to your home by stacking potted geranium plants around the driveway and front lawn, they will ensure that no mosquitoes get in through the front door. 3. Decorate your backyard patio, deck and fence by hanging cascading geraniums on them. 4. Create a beautiful backyard garden that both you and your guests will admire and enjoy spending time in by creating clusters of colorful potted geraniums. How do you deal with those annoying bugs? Share your bu repelling tips with us by leaving a comment below. Thanks for the advice, I use candles but will try this one.